Many talk about national issues with a lot of passion. Some actually speak as if they are authorities on these issues yet they don’t base their talk on facts or true knowledge. We all should take it upon ourselves to read national policies, guidelines and any form of documentation that is disseminated for purposes of creating awareness about national issues, then only can we effectively inform our friends, families, and community members on issues of national development. The constitution of Uganda spells out the duties of a citizen. Today, I will highlight one of them which states that “it shall be the duty of every citizen to contribute to the well-being of the community where that citizen lives.” It is almost impossible to accomplish this duty without efficient knowledge about issues that are instrumental to the national development agenda. 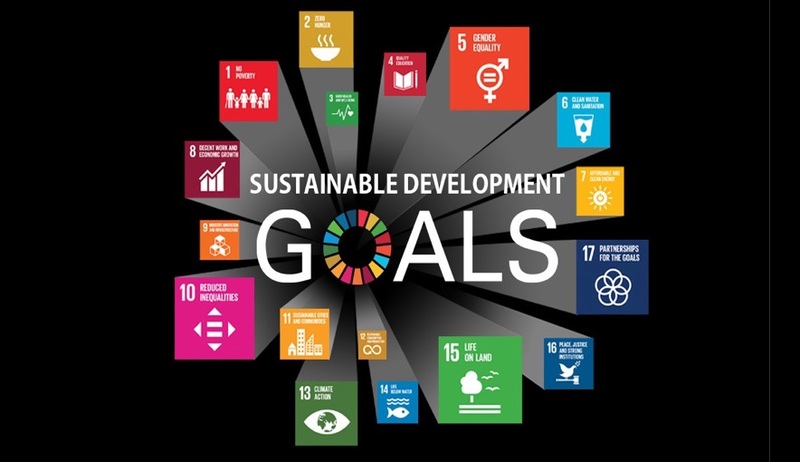 In my endeavor to write this article, I tried asking most of my friends and the neighboring communities (Uganda) if they knew about the Sustainable Development Goals. The objective of the inquiry was to help me understand whether or not my fellow citizens understand these goals and how they relate to the National Development Agenda. To my surprise, very few even had an idea about what I was referring to. If I did this as a national survey, I am sure I would avail sufficient data and a justification for the need for information dissemination about such important issues. My general recommendation is that a lot more awareness is needed among the general population about the issue of sustainable development. The new Global Development Agenda was agreed upon by all 193 member states and was formally approved by the UN General Assembly on 25-27 September 2015. Through the 2030 agenda, member states commit to a sustainable development process that benefits all people by eradicating extreme poverty and ensuring a life of dignity for all. Uganda actively pursued the sustainable development agenda since the early 90’s when it gained ascendancy as a development paradigm. This pursuit has unfolded in three distinct transition phases: post war reconstruction (1986-1997); poverty eradication (1997-2009); and social economic transformation (2010-2020). Nearly three decades on from the first United Nations Conference on Sustainable Development in 1992, Uganda remains steady in its commitment to sustainable development. Results from the 2014 National population and housing Census reconfirm that this commitment is yielding desirable results. Between 1991 and 2014, life expectancy rose from 48.1 to 63.3 years; infant and under-five mortality rates dropped from 122 and 203 deaths per 1,000 live births to 53 and 80 respectively; orphanhood levels dropped from 11.6 to 8.0 percent; literacy levels rose from 54.0 to 72.2 percent; income poverty declined from 56 to 19 percent; access to electricity, a factor that affects the environment in Uganda, increased from 5.6 to 20.4 percent; and the proportion of the National budget that is funded from domestic sources has increased, from 64.7 percent (FY 1991/92) to 82 percent (FY 2014/15). Despite the above progress, Uganda still has significant room for improvement in the sustainable development agenda. The economy is still heavily reliant to natural resource and agriculture; the current demographic structure implies a high dependency ratio and low domestic savings; there is continued pressure on the forest cover because of limited access to modern forms of energy; inequality, though falling, remains high; vulnerability among different segments of the population is also still significant; and the economy remains in need of deeper and broader economic integration, especially at regional level.